Walk the streets of the City of Salta with specialized guides. Know everything about its history, culture, architecture and gastronomy. 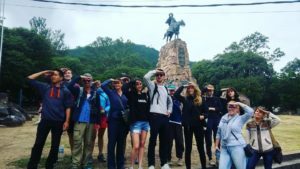 Enjoy a tour in which we will visit the most emblematic and iconic places of Salta. A City Tour like no other, a unique experience. Soy el texto de destino. FROM MONDAY TO SATURDAY AT 10AM. Our tour does not require prior reservation. You just have to get to the meeting point. There is no upfront cost, it is based on tips. We will run all our the tours with drizzle. But unfortunately we will have to cancel if it rains hard. FROM MONDAY TO SATURDAY AT 5PM. 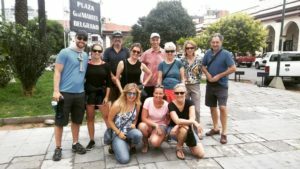 Besides from our Morning Free Tour arround downtown and the paid Craft Beer Tour, we offer you a unique Free Tour in the southern part of the city. Discover with us the secrets of the southern area of the city, where formerly lived the lower class of society. The San Martin Park that was a swamp, a dump, a zoo and nowadays a place of popular recreation. We will visit the fruit and vegetable market and little known places in the city. Lots of interesting cultural things and places. 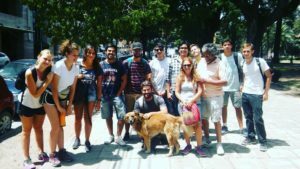 We will finish the tour at "El Patio de la Empanada" a popular place where you can try the best empanadas in Salta. As our Morning Free Tour this one is also based on tips and you don't need to make a reservation. We will meet at San Martin Monument in San Martin Park at 5:00 p.m from monday to saturday. The tour lasts approximately 1 & 1/2 hours. You can use your credit card to contribute, tip or buy any of our tours.